WHEN: Feb. 3 – June 17; Wednesday–Sunday, 12–5 p.m. Visit on Sundays to experience our Drop-in Studio or head up to our third floor Family Learning Lab, open during gallery hours. 3rd Annual Gaelen Family Artist Lecture on Thursday, April 26, will highlight artist Kay WalkingStick in conversation with curator Kathleen Ash-Milby. Spring Family Day on Sunday, April 29, will take inspiration from the artwork on view. Registration opens March 5 for members, March 12 for nonmembers. Parent/Child Travel Journals, an art workshop on Saturday, June 9, takes inspiration from WalkingStick’s sketchbooks to create hand-bound travel journals just in time for summer vacation. 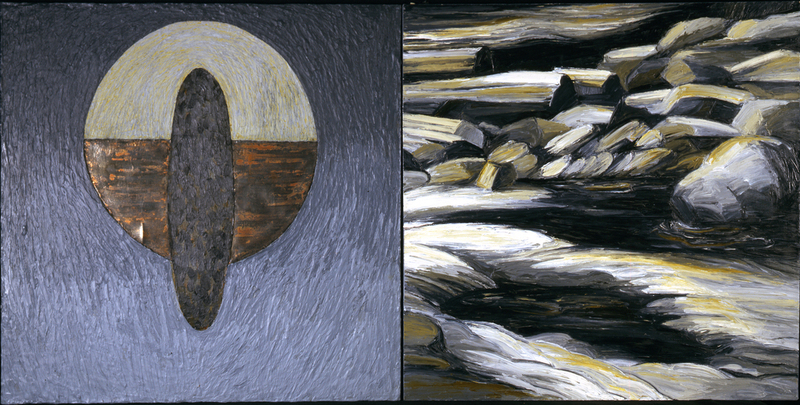 IMAGE: Kay WalkingStick, Night, 1991, oil, acrylic, wax, and copper on canvas. Montclair Art Museum, purchased with funds provided by Alberta Stout. Image courtesy of the artist.